Couture fashion week sees luxury looks float down the runway and backstage, with beautiful hair to complete the looks. And one thing we see a lot every season is very wearable hair. 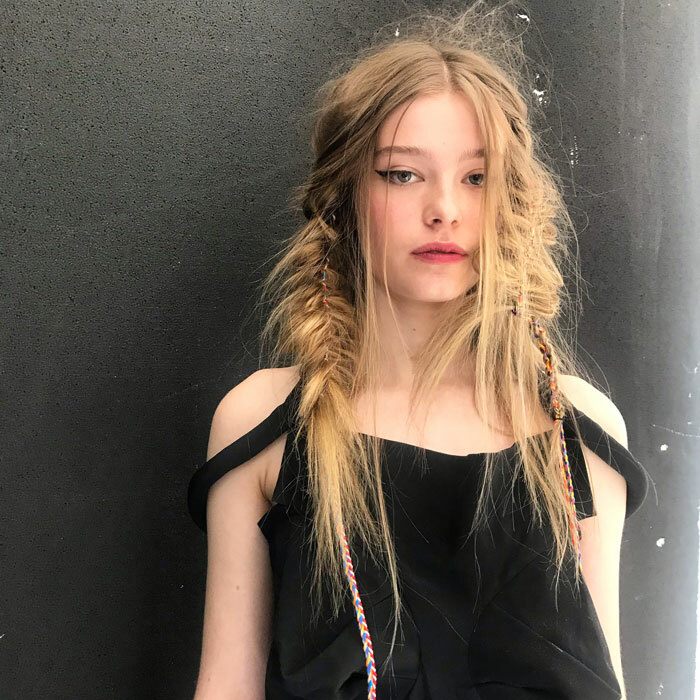 “When creating the hair looks for Couture, it is always important to consider and use basic and classic techniques and develop them into a wearable style that compliments the designer’s aesthetic,” says Cristian Pignatta session stylist at Neville Hair and Beauty. 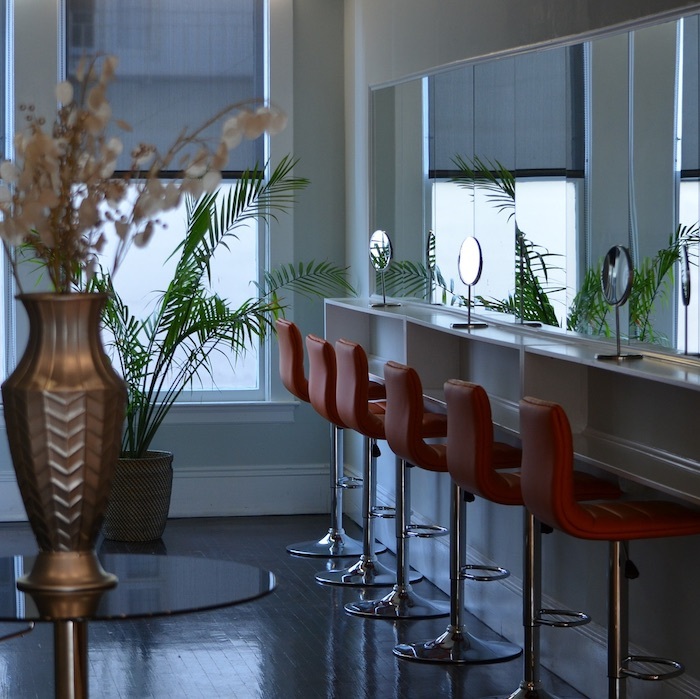 “It is important that the hair reflects the designers’ DNA without overpowering the creations. Knowledge and research are the basis to understand the ideology of the designers look. As for the hairdresser the craftmanship should be so elevated that no diversion should be impossible,” he continued. With the shows over, now is the time to look for your first batch of inspiration for the year’s hairstyles. Here’s a rundown of 5 hair trends we’ve spotted on the catwalks. 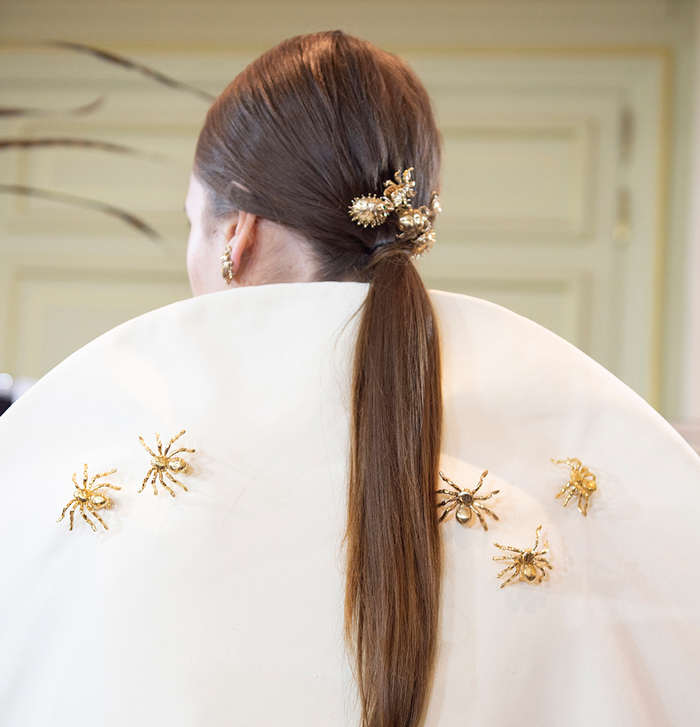 Updos are always a popular on couture catwalks and this SS19 was no different. Whether high, as seen at Guo Pei, or low, as created at the likes of Antonio Grimaldi, the majority started with a sleek base produced with brushed hair or neat cornrows and healthy sheen. This look helps maintain the glamour of couture without distracting from the incredible craftsmanship. A season catwalk staple. Low ponytails are easily created on a variety of hair textures and lengths making them a go-to for many stylists. This season they were seen on models walking down the Celia Ritharioti and Valentino catwalks. The style also allowed for an array of hats seen throughout the week. As we already know, accessories are going to be a big deal throughout 2019 and the catwalk reflected that. A stand-out piece from the Givenchy show was not clothing but rather this elaborate headband designed by Clare Waight Keller. Many other accessories seen throughout the week followed suit in the sparkle department and the hair at Iris Van Herpen took the trend to new levels with glitter tips at the end of model’s fringes. This season, face and hair were kept very separate with very few tendrils and fringes. To avoid looking generic, Sam McKnight created tall hair at Chanel, staying subtle but injecting some of the exuberance from the Rococo era that inspired the show. Catwalk hair can often be very nonchalant and this trend was taken to the next level at Jean Paul Gautier where updos were kept very loose and messy, with the focus on the bold colours rather than intricate styles. A similar effect was created at Viktor and Rolf where model’s hair often had a natural parting and texture, kept tucked behind the ears.